Why Hire a Boat from Gold Coast Party Pontoons? 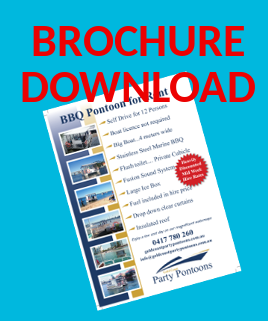 Gold Coast Party Pontoons is a local family owned business. But it is more than a business to us. 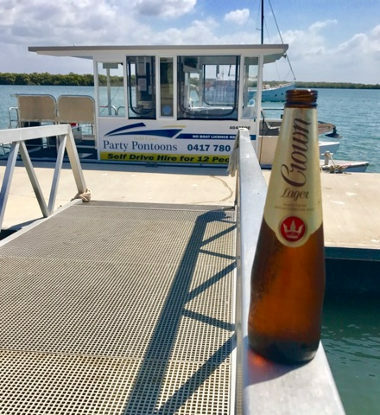 The owner of Gold Coast Party Pontoons, Craig, lives for the Gold Coast Boating lifestyle and has personally designed these boats to be the most comfortable and safest hire boats on the Broadwater. 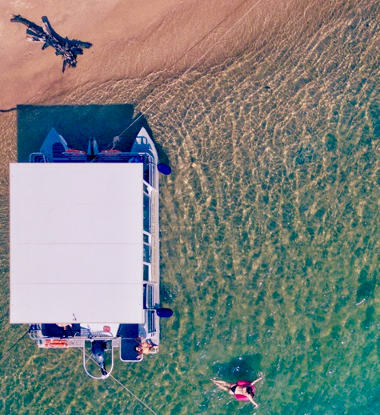 Craig is passionate about making your day on the water the most memorable possible, by providing not just the best boats but also the best service. Your hire boat will always be prepared and presented ready for you to the same high standard that Trevor expects when he is on the water. No detail is overlooked and you can always expect more from Gold Coast Party Pontoons.